Is this thing beyond saving? Discussion in 'PTC - PRS Tech Center' started by SonicBlur, Sep 26, 2017. 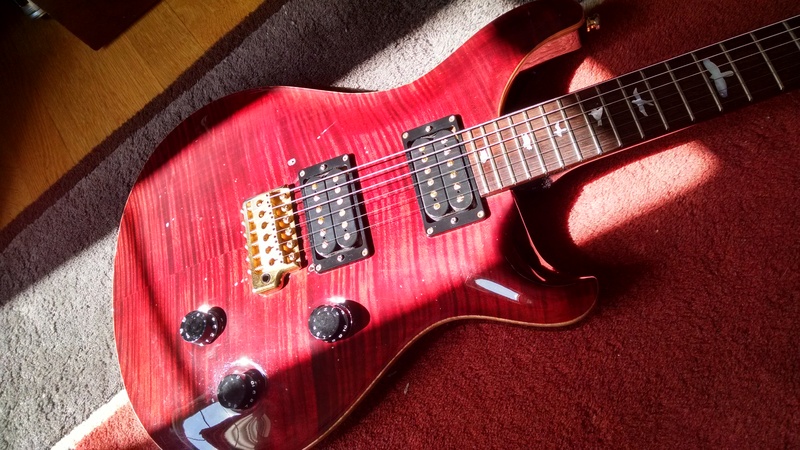 I recently picked up this 1995 Custom 24 a few weeks ago. When I got it I knew it had issues but that the bones were solid overall. I gave it a good setup and deep cleaning, etc. and it seems to be really great. - The 5 way rotary dial/ Some positions don't work very well (if at all), it cuts out intermittently. I was ultimately just expecting to swap to a 3 way toggle. - At one point, a previous owner added a synth pickup. It is now long gone but the holes remain. Is there any way to fill these holes and make them disappear? - The rest of the body looks rough, even after a few rounds of scratch remover, polish, etc. Some dents and dings are just too much. - The frets need some work, I can see some dead spots. 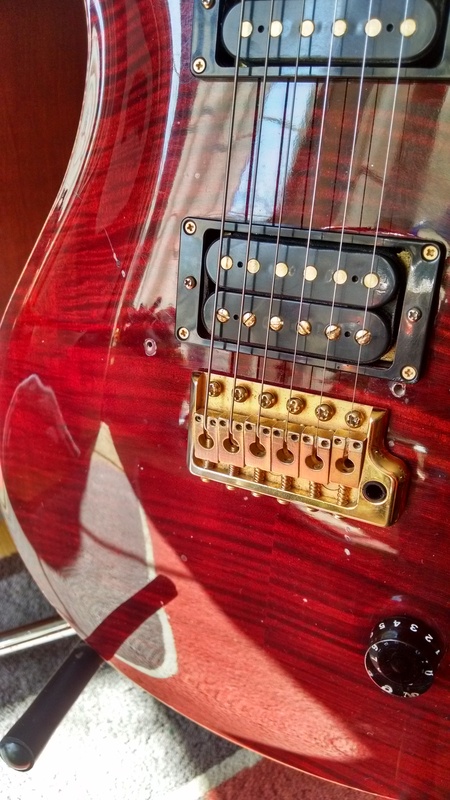 - There are holes from a previous owner's decision to add some different tuners. Overall, my question seems to be, is this guitar within the realm of saving at a decent cost? If I have to spend the cost of another PRS to fix this one, I may just leave it as is or try repairs myself. The PTC should be able to fix the issues and get it back to like new condition. As for the cost of the work and whether it is worth it to you to go that route? Shoot them an email and they should be able to quote a price and go from there. Drop the PTC a line and see what they say...they do fabulous things! Dang...just beat me to it! Thanks for the reply! I did send a formal request for a quote to PRS but there wasn't an option to add pictures. Just thought I'd post up here and get some additional opinions. Alnus Rubra, gush, Stratstrangler and 4 others like this. As far as if the cost is worth it? That's what I'm trying to find out. My guess is that it'll be absolutely ridiculous but it doesn't hurt to ask. 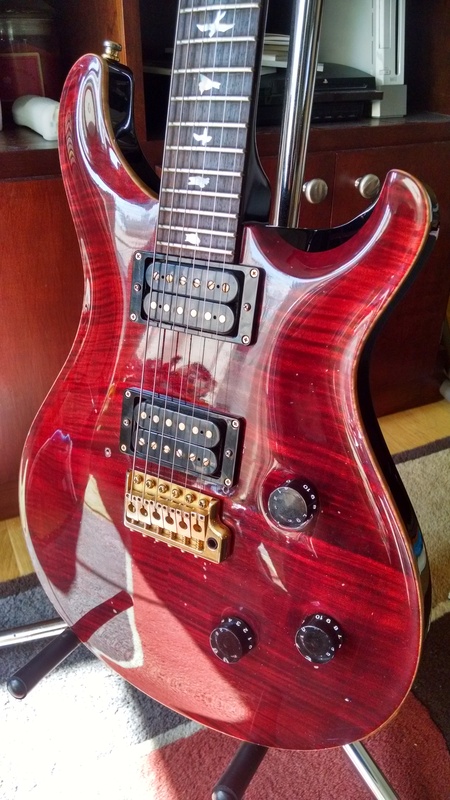 So to make it like new will be near $1500 ish if you have PTC do it but it will be a new guitar, and since they are filling holes I would go phase 3 for the tuners I just love them. If you are capable put in a new switch drop fill what you can make some small maple filler ( dowels or toothpicks ) for the holes match the color as best you can and cover with clear and call it a killer player. Just to be clear, that is a 1995 Cu24, not a 2005 Cu24. If it sounds good, I think I'd do the fret work, and leave the rest. 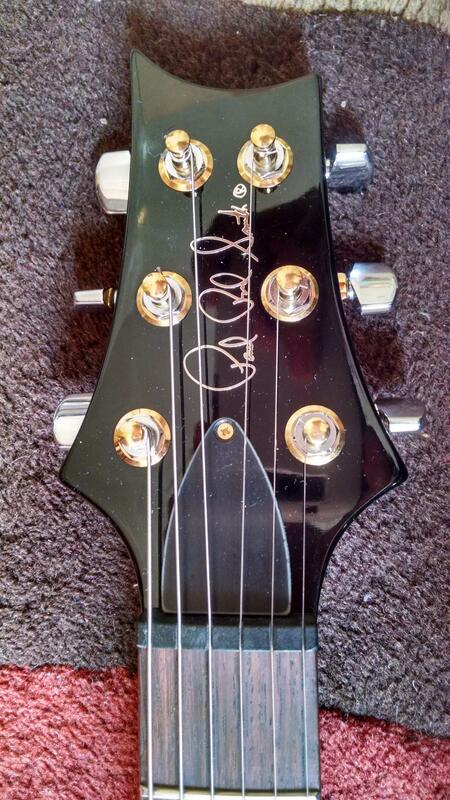 Actually, I'd also hit up John Mann's store for a set of winged tuners too! Elliot, flux, rugerpc and 3 others like this. Well, I'll be damned! You're right! 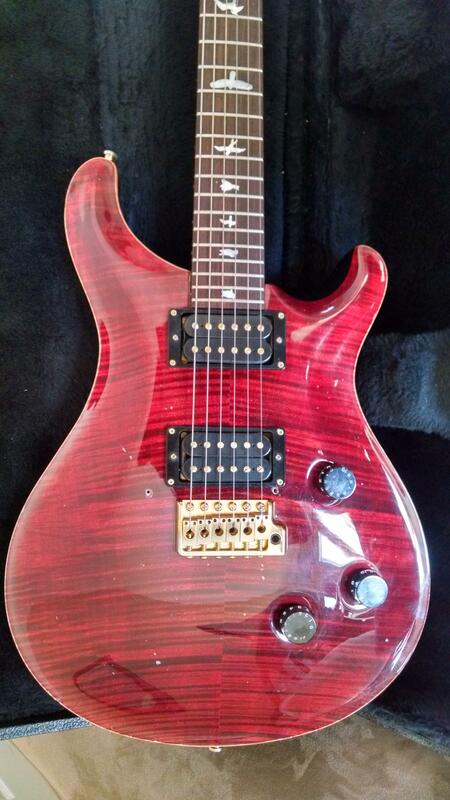 I dated this thing off of PRS' page incorrectly, I do have a 1995! Thanks for the info! Agreed. 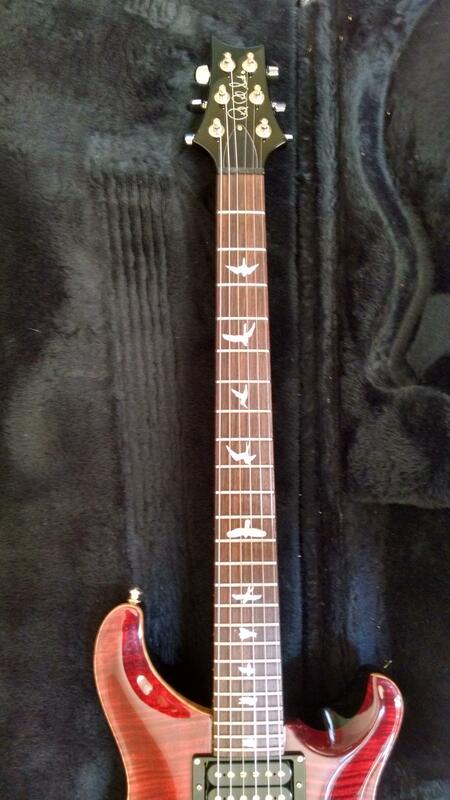 Everything is cosmetic except the frets. 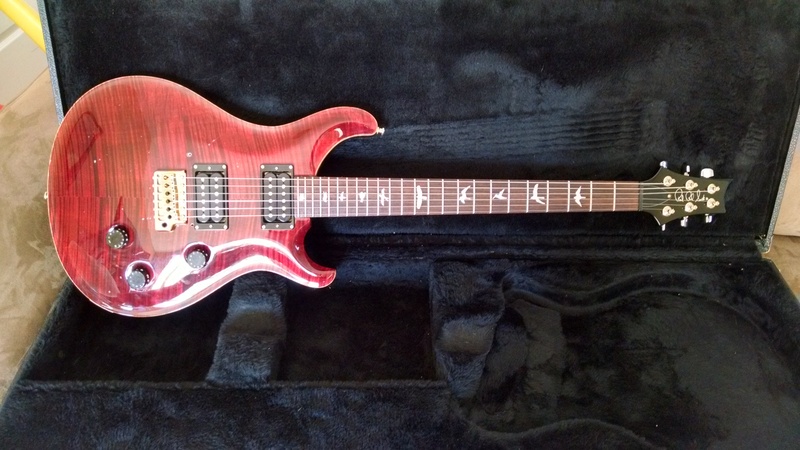 If you want a guitar that looks new, sell this one to someone who doesn't mind the cosmetic stuff, and buy a new guitar! Elliot and bodia like this. I'll probably never get anything for this guitar that would justify selling it. I'm with the "fix the frets and play the snot out of it" crew. Bill SAS 513 and bodia like this. Have the PTC fix the frets, buy a used set of winged tuners and a 5 way and put them in yourself, forget the holes and play it. I did that on a 90 CE24 and I'm really happy. It had a synth pickup too. Same holes. Adds character. You'll only be out a few hundred and you have years of great music ahead of you. Alnus Rubra, Elliot, Bill SAS 513 and 1 other person like this. I'm definitely in the camp of getting it to play nice and leaving everything else alone. The tuners on there now are not original to the guitar. They look like the type used on Hollowbody and non-trem Custom guitars in late 90's - early 00's. Those would've had ebony or black plastic buttons, so who knows where these nickel ones came from. It's a good thing they didn't put new screw holes in the headstock. You can buy some Schaller M6 keys, or keep an eye out for some of the older winged keys with the shared screw for the D/G tuners. Maybe you can get Sergio to part with a set from his stash? The wiring is an easy fix. 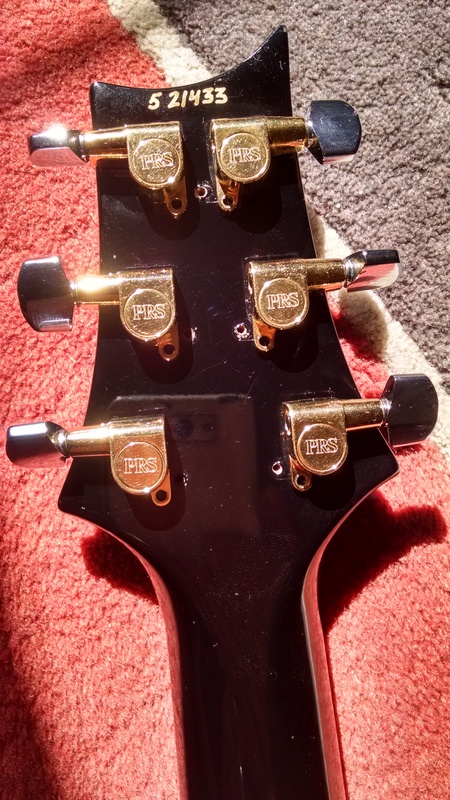 I'd be inclined to send to PTC to have them do a setup, which includes fret level and a new nut. They could absolutely restore the whole thing into immaculate condition, but certainly won't be cheap. 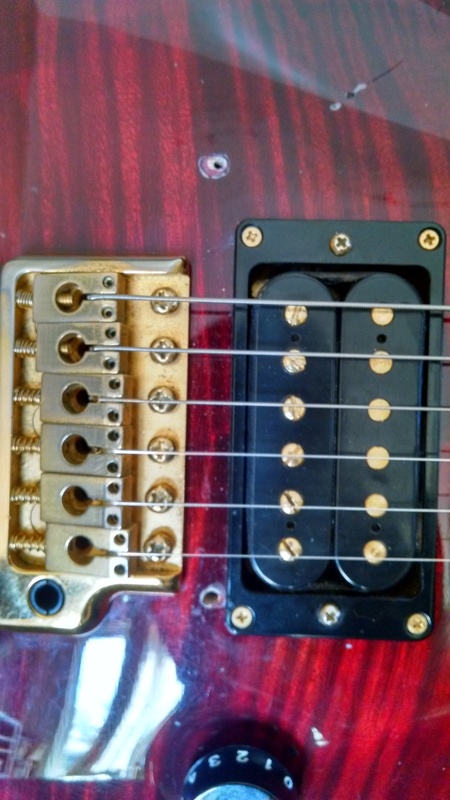 Regarding the tuners: It looks to me like no extra holes were drilled for the new non locking ones. Find an old set of winged tuners (shared D & G screw) and you are good. I'd fix the frets, nut, tuners and enjoy it. If at a later you would like a refinish, I'd do a metallic opaque front with a natural back. Maybe you can get Sergio to part with a set from his stash? I'm all out. Have you seen how many guitars I have with PII & III tuners? Tough times, man. dogrocketp, Alnus Rubra, toothace and 2 others like this.